• If something looks good, it was worth the pain I put myself through. • It’s selfish to have too many needs and being demanding makes me unlovable. • Success isn’t an option, it’s an expectation, and failure is unacceptable. This kind of perfectionism sabotages many areas of our lives, especially these seven: career and job, money, family and friends, love, health and wellness, spirituality, and our home/office environments. 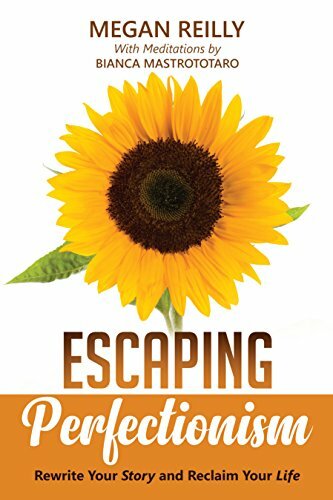 In this book, you'll find tools to identify your PSes and rewrite them, receive tips on how to avoid the people and situations that have derailed your efforts in the past, and get the guidance you need to become more authentically connected to everyone in your life, including yourself! What's Your Perfectionism Story When it Comes to Business? Find out if and how your beliefs are holding you back so that can you break up with those jerks! Looking for a safe place to conquer perfectionism? Get out your journal and follow along with a FREE Body Image Workshop Series and Escaping Perfectionism Workshop Series, both available on my YouTube Channel. Want to create a safe space for uncovering and repairing the crippling effects of perfectionism in your organization, church or other business? I'm currently booking speaking engagements. If you need a speaker, contact me so we can see if it's a fit. Did a speaker cancel? I offer quick turnaround and flexible availability. Book a call with me here. Have any questions? Contact me at megan@thestoryisyours.com. Looking to publish your own story? Go from dread to finished draft in just 90 days and become a self-published author on Amazon, too, with my 1:1 Heart-Based Book RX. SIGN UP TO GET A FREEBIE FROM THE BOOK! The resource you'll be receiving shortly is a PDF titled What's Your Perfectionism Story?, the FULL Version of the quiz from above and exactly what you'll get when you read Escaping Perfectionism: Rewrite Your Story and Reclaim Your Life. It will help you see how you've been getting in the way of your own success, and BETTER yet, how you can rewrite it! TSIY will never SPAM or give away your email address. Ever. Ever. Ever.